You have forgot BIOS and need to reset\unlock it so that you can login back to your laptop or desktop machine. Reset the CMOS battery located on your system motherboard, if you have laptop machine then it would be little difficult compared to desktop machine. Remove the CMOS battery from motherboard and keep it away from motherboard for couple of minutes and then reinstall the CMOS battery. 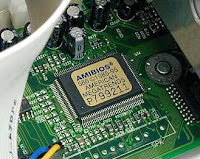 If resetting CMOS battery does not help than reset the jumber setting on motherboard, if you are not sure which jumper it is then prefer checking your computers motherboard manual. If this also does not help than short the pin of CMOS battery holder pin on motherboard with paper clip and then re-insert CMOS battery. So, overall we have 3 options to reset\change lost BIOS password\lock. Please watch YouTube video tutorial on how to reset BIOS password for desktop. Please watch YouTube video tutorial on how to reset BIOS password for laptop. - Make sure your system is completely shutdown and disconnected from power socket. - If you have laptop and I would recommend you to remove laptop battery before resetting the CMOS battery. - You should have screw driver set to open up your computer. - If you find it difficult then contact either call your local technical support or call your laptop or desktop company.